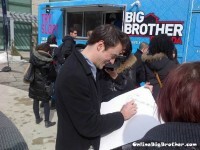 Today was Big Brother Canada “Slop day” on the streets of Toronto. 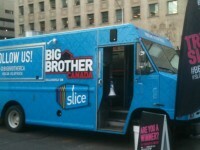 The Slop truck travelled around dishing out delicious Big Brother Slop to the throngs of fans out on the street. 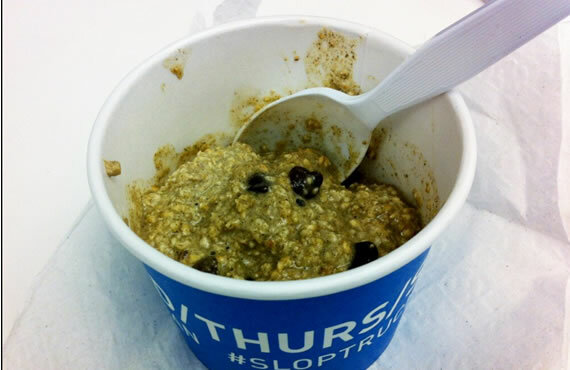 According to accounts on twitter the slop tastes like sh*t which is no big surprise since slop is suppose to be a penalty. 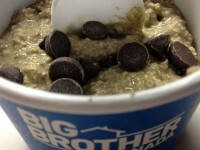 Not sure if the chocolate chips are there for the fans or if the Canadian version of slop gets the sprinkles. Either way the fact that there is slop is good news for us wanting a more American style of show. 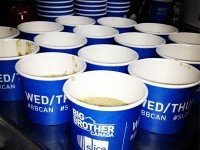 Big Brother Canada starts tomorrow on Slice, there will be free live feeds and full live feed coverage here at OBB! 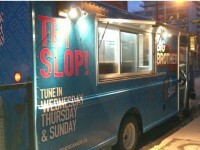 We can’t wait for Toronto’s Slop Truck! Stop by one of these locations for a cup tomorrow and follow #BBCAN & #SLOPTRUCK on Twitter for the most up to date times. Dan will be at the first two stops! DAN GHEESLING Will be at the first TWO locations!! Hey, I was at this today, at Ryerson! 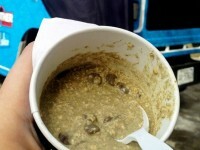 I even had some slop…with hot sauce! Honestly, not that bad! Thanks for the photos!! 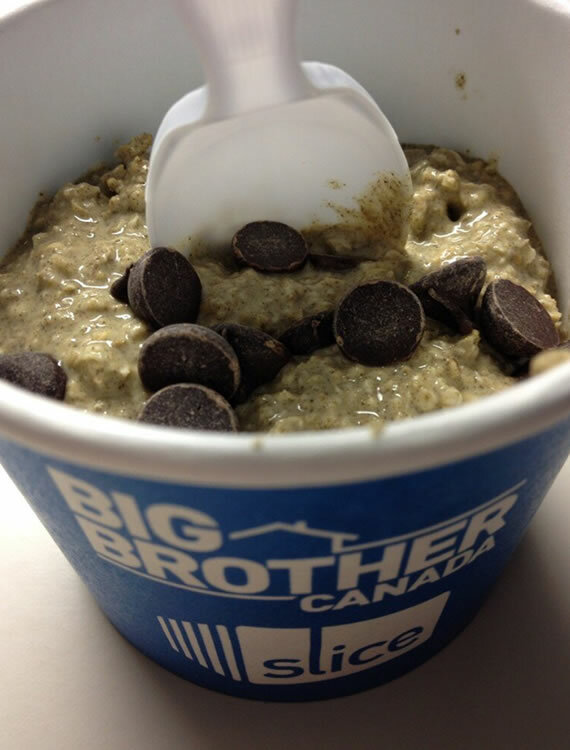 We appreciate you sharing them with us and telling us about how BBCA slop tastes! OH Man what’s that red stuff in the slop? It was hot sauce! 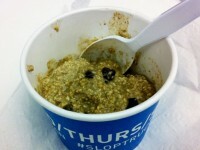 They had a bunch of different toppings to try, like berries, banana chips and chocolate chips. I chose hot sauce. Not sure why!